Lost baggage and delayed flights are the top 2 complaints passengers have. 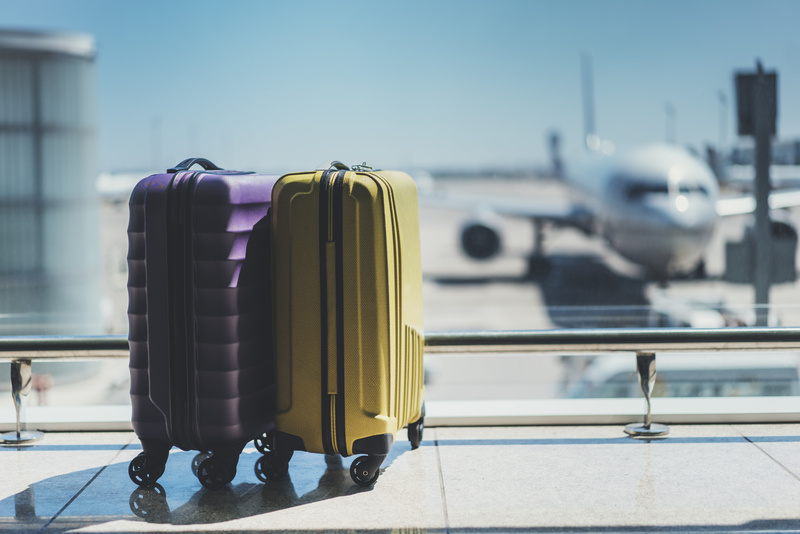 There’s nothing we can do to prevent either of these inconveniences, this guide will tell you everything you need to know about flying from Albany airport. Read on for advice on how to navigate flying from Albany International airport with as little hassle as possible. This is probably the most stressful part of airports. All airlines are required to have a check-in time of 45 minutes. This means that if your bags aren’t checked 45 minutes before your flight leaves, they can refuse to let you board. If you only have a carry-on bag, the rule is 30 minutes. However, you must be at the gate 15 minutes before departure. Flight attendants can deny you boarding if you arrive later. To be safe, arrive 90 minutes ahead of your flight departure time at the Albany airport. Need a lift to the airport? Absolute Taxi & Airport Transport can get you there. Baggage carts are available in the Bagging Claim Area and the parking garage. They cost $4 each. Note that if you return the cart you only get a 25 cent refund. Likely, it’s not worth it for you to go out of your way to get a quarter return. Each passenger is permitted one carry-on bag and one personal item such as a purse, a laptop, or briefcase, beyond the security checkpoint. Electronic devices such as laptops, video cameras, and electronic hand-held games are permitted as carry-ons. Liquids, gels and aerosols in containers larger than 3.4 ounces are not permitted beyond the security checkpoint. It’s best to put these items in your checked bag to save yourself time at security. If you must transport these items, pack them in containers that are less than 3.4 ounces. Then place them all in a clear, plastic, sealable 1-quart ziplock bag. Each passenger can only bring 1 ziplock bag of these items through. Exceptions are in place for medications, baby formula, and breast milk. These items can exceed 3 ounces but must also be presented for inspection at the checkpoint. For more information, visit the Transportation Security Administration website. Conveniently located on the first floor of the terminal between ticketing and baggage claim lies Departure. This unique retail concession offers fine hand-crafted gifts, artwork, and historic materials from more than 60 regional museums and cultural institutions. So if you aren’t able to see the sights before heading to the Albany international airport, at least you can grab some souvenirs. Best of all, purchases help support local artists and participating museums. In the Albany airport, the Travelex store can assist you with currency exchange. Find the store in the Baggage Claim area of the main terminal. Travelex has the top 25 international currencies available for you at any given time. If you need money in a currency that is less common, you must order the currency you need. It can be available the following business day. Travelex offers decent hours of operation (Monday-Sunday 7 am-8 pm) You can reach the store directly at 518-242-4488. Bonus: There’s free parking for up to 30 minutes in Albany airport’s short-term parking lot while making your currency exchange. You may order foreign currency online at travelex.com for the best rates. Have your foreign currency delivered safely to your home or pick it up in the store at Albany airport. Another option is to purchase a Travelex prepaid currency card for your trip. This card is not linked to your bank account and can be loaded with multiple currencies such as Euro, Mexican Pesos, British Pounds, Australian Dollars, Japanese Yen, and Canadian Dollars. You may use the card anywhere Mastercard is accepted. Download the app for an easy way to manage the account and get service. Where Is The Airport Information Booth? This is your go-to spot if you need to page a member of your party, get directions, flight info, buy bus tickets etc. It is open Monday-Friday 6 am-11 pm, Saturday and Sunday from 7 am – 11 pm. You can contact the Information Center by calling 518 242-2200. Press “0”. There are 3 parking options at the Albany airport. If you are dropping off someone at the airport, your first 30 minutes are free. The second 30 minutes are $2 with each additional half Hour costing $1. The maximum daily rate is $24 for this short-term parking. Short-Term parking is located on the first floor of the parking garage, opposite the terminal, and behind the parking garage. If you plan to leave your car at the airport, the maximum daily rate is $9. This lot is located behind the parking garage. It is a short walk to the terminal from this lot. You can park your car in Lot E for a reduced rate. Here, the daily maximum is $6. You will need to take the free shuttle to get to the terminal. The shuttle is available 24 hours a day. This lot is accessible from Albany-Shaker Road as well as I-87 Exit 5(Northway) on Watervliet-Shaker Road. The rear exit is automated and will only accept credit cards or EZ-Pass Plus. Submit a ride request to skip the parking fees. We hope this guide has given you everything you need to know about the Albany airport. We know traveling by plane can be stressful. Let us take one worry off your list. Choose Absolute Taxi to get you to your flight. Check out our reviews on Trip Advisor and see why we are your best choice for airport rides.